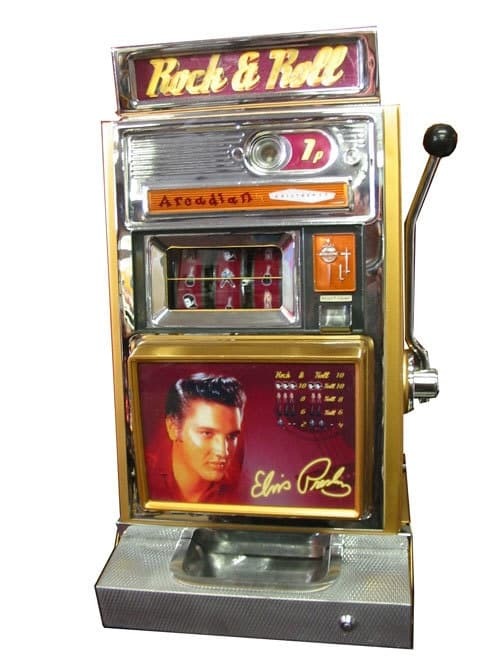 These particular machines were manufactured from the period 1960-1974 by a company called aristocrat but have been specilly converted to feature “the king” Elivis for all you fans out there! The company started in 1953, producing an early classic in the slots market, The Clubman. Though the manufacturer didn’t take the name “Aristocrat” until 1955, it early on prospered in the economic boom of the 1950s In 1960, the company started selling to the European market. 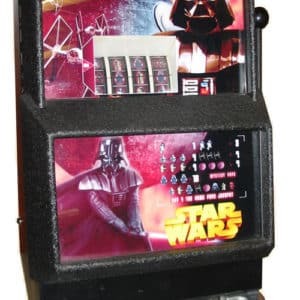 It made its first inroads in the United States in 1964, though it would be decades before Aristocrat decided to compete with American giants like IGT and Bally Gaming. This did not keep Aristocrat from becoming a giant of the industry. In 1989, AG became a corporation, and investors started publicly trading its stocks on the Australian Stock Exchange. This influx of cash allowed Aristocrat to contemplate larger export sales. and this certainly means that these machines are amongst some of the more modern of their genre types. This also meant that the technology for the time was newer and more advanced. 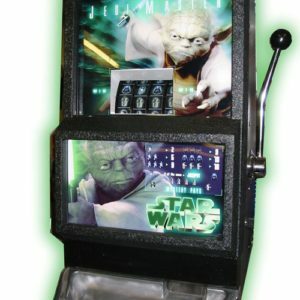 This machine was to become one of the most long lasting and hard wearing in the industry and will prove a collectable classic.